The Wedding Business Success Hub is a private Facebook group for wedding business owners to learn, support and share. The Hub is your place to network and get ideas and feedback from a friendly and supportive community of wedding professionals. 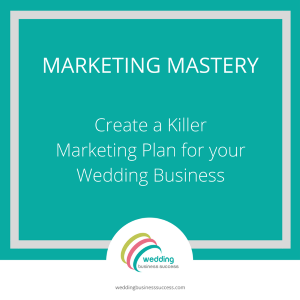 To join this group you need own a wedding business or work in the wedding industry – or be planning a wedding start-up. Once you’ve been accepted, please check out the pinned post and join in the conversation! I look forward to seeing you there. By joining the Hub you are also subscribing to our regular emails with the latest articles, tips and news for your wedding business. We don't pass your details to anyone else and you can unsubscribe at any time.